Home / Review / PS4 vs. PS4 Pro, what’s the difference? Which console should I choose? PS4 vs. PS4 Pro, what’s the difference? Which console should I choose? After the launch of the new Sony console many users were left with a big question, whether they should choose the PS4 or the PS4 Pro, and it is natural, since the second has not finished convincing us and is still swimming in a sea of uncertainty. We say this because the improvements we have seen in games of both consoles are in generally quite small, and because of that many users do not find enough motivation to opt for PS4 Pro, although at the same time they question if this is just something temporary and if it will end up being improved in the short term, when developers start getting the gist of said console. All this leaves us with a difficult decision, and now that we have Black Friday and Christmas shopping coming soon, we want to help you dispel doubts and clarify ideas a bit, so that you can choose the system that best suits you. Sony has “sold” PS4 Pro as a 4K console and it really is not, at least not strictly speaking. 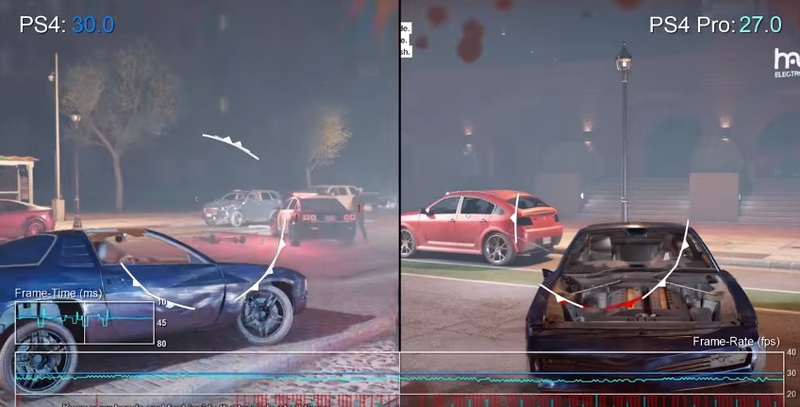 It uses rescaling techniques and HDR, elements that allow it to offer an improvement in graphic quality without consuming too many resources, but that obviously does not reach the level of what would be a native 4K experience. 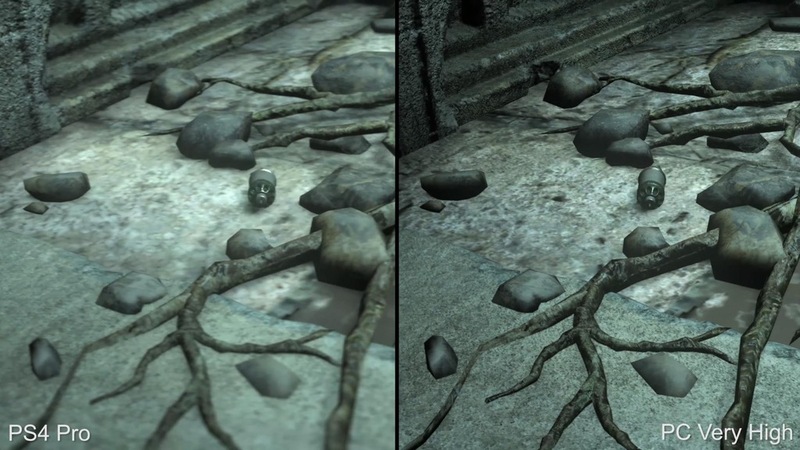 So techniques like Checkerboard help offer a higher resolution despite the console’s lack of power. In essence what we are seeing in the first games is something that has actually already been used in previous games, like for example on Kill Zone Shadowfall, it’s rendered at half the pixels in height and width and then stretched and appllied MSAA 2X. This way when rendering at 1,920 x 1,080 pixels and “stretching” or resizing at 3,840 x 2,160 pixels the performance consumption is much lower than when rendering in native 4K, and solves the loss of quality and the tessellation applying edge smoothing that “puts makeup on” the final result. Yes, there are games that have higher resolution or even reach native 4K, but those are not titles of the current generation, which you must keep in mind. Why is it not able to achieve native 4K if it doubles the graphics power of PS4? We have already said it on other occasions, and now we will go a little deeper to understand it even better. PS4 Pro more than doubles the power of the original PS4, but it is an unbalanced console and to run games in 4K it takes more than just TFLOPS. First of all it should be made clear that, although it is not definitive yet Mark Cerny, chief architect of the PS4 Pro, hinted that this console “doubles as the wings of a butterfly” the PS4 GPU, which means that it has a GPU identical to that of the PS4. Since the PS4 has 1,152 shaders and the PS4 Pro has 2,304 shaders the thing seems pretty clear, Sony’s new console directly doubles the PS4 GPU and therefore does not have a new graphics card based on Polaris 10 from AMD, at least in theory since, as we said before, the Japanese company has not been clear in this regard. I know you may be wondering where those extra TFLOPs come from, and the explanation is simple, of the frequency increase, since in PS4 Pro the GPU runs at 911 MHz and not at 800MHz. Then we would have, in essence, the potential equivalent to two Radeon HD 7850, a graphics card that is already about four years old, and without dedicated graphics memory, since the system has the same 8GB of GDDR5 as the PS4 and 1 extra GB of DDR3, but it only has 5.5 GB of GDDR5 to deal with as RAM and VRAM. 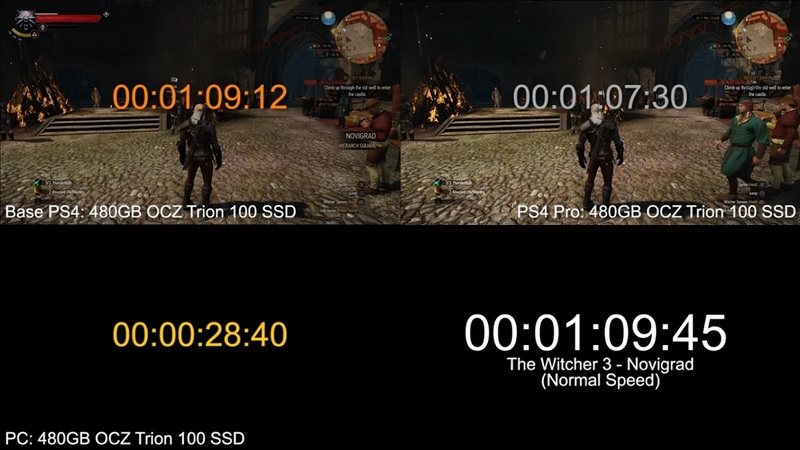 The PS4 has 5 GB of GDDR5, so the difference is minimal. 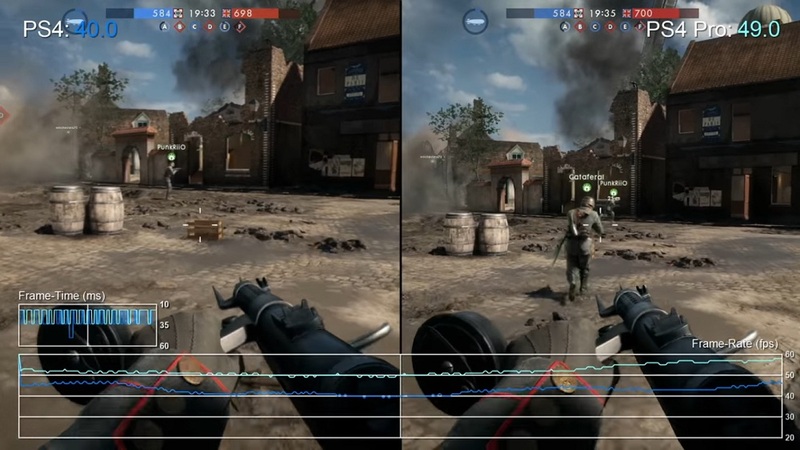 This limitation is enormous, and to make it even more evident here’s a simple example; a PC built to play in 4K usually has 16GB of RAM and 8GB of VRAM, which adds to a total of 24GB compared to the 5.5 GB of the PS4 Pro. This is a big bottleneck, since in PC for example a current game occupies between 4GB and 8GB of RAM, and an extra minimum of between 3 GB and 4GB if we raise the resolution to 4K. As we can see, in the best case we would need a minimum of 8 GB free, a figure that the PS4 Pro does not have. We can not go without talking about the processor, which is the same as the Jaguar from AMD with eight-core PS4 CPU but working at 2.1 GHz instead of 1.6 GHz. It is a low-energy processor, which implies that its IPC is low, something that coupled with its low frequency and the fact that there are only six free cores for the developers to work with evidences another important bottleneck. PS4 Pro can play content in 4K but lacks a Blu-ray UHD optical drive, which for example the Xbox One S has, and it ultimately ends up limiting the user experience. We can access multimedia content in that resolution, but only through the digital format, which implies that we need to have a very good Internet connection. If we join that lack to the fact that it has not enough power to run games in native 4K we realize that it is not a good idea to promote PS4 Pro as a 4K console, since it is not and it offers the player such a decaffeinated experience that will end up disappointing the most demanding. Conclusions, PS4 or PS4 Pro? I have focused this exposition on the PS4 Pro because we already know the PS4 well and we know perfectly what it is able to offer the player, games in 1080p resolutions with qualities that in PC are equivalent to average settings and 30 FPS in most cases. Taking into account what each console offers, and now that we have been able to really loon into the PS4 Pro, I think more strongly than before that Sony did not focused its marketing correctly, and that it is more a console for 1080p and 60FPS with high quality than anything else. So, if you have a 4K TV and expect to enjoy an authentic experience in that resolution, and you expect it to be perfect, you will not get it with the PS4 Pro, simply because the console does not have the power for it, and in fact it does not even has a UHD Blu-ray player. With this we do not mean that it is a bad purchase, but we must be truly aware of what we are getting when buying a PS4 Pro, and of the limitations it has. ● PS4 offers better value for money, it is a more balanced system and has a great life still ahead. Buy this if you have a limited budget or want to spend as little as possible, plan to play in 1080p and don’t mind losing a little bit of extra quality or fluidity on your console. ● PS4 Pro offers more power, but I think that 150 euro difference compared to a standard PS4 of 500GB leaves it with a very inferior price-quality ratio. In any case if you want to access a “decaf” 4K experience at low price and you do not need the UHD Blu-ray player this is an acceptable option.